Finalists of the 2017 edition of the #Africa4Future accelerator. 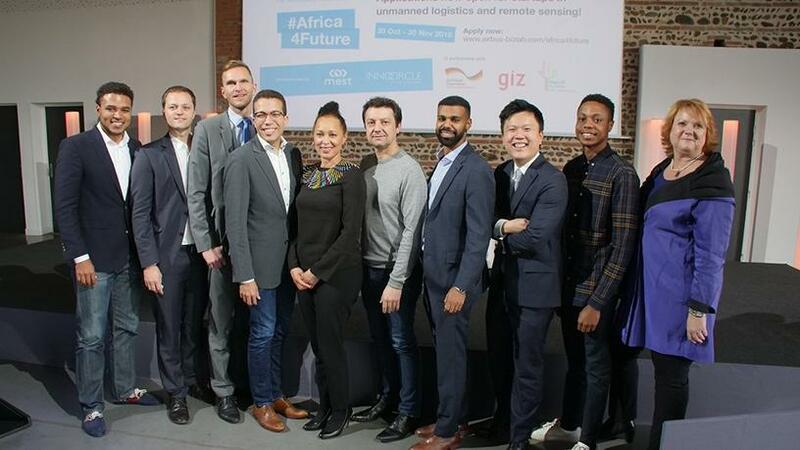 "The call for start-ups took place during the release of 'The Great Enabler: Aerospace in Africa', a white paper on the role of aerospace technologies and their impact on socio-economic development in Africa," notes Ellen Fischat, co-founder of Innocircle. "The prize is a one-week trip where the winning start-up will exhibit their technology at the International Paris Air Show 2019 from 19 until 23 June and at the CeBIT Exhibition in Hanover from 24 to 26 June." Last year's winner was South African entrepreneur Spencer Horne, founder of logistics start-up Cloudline.